Preservice and novice teachers feeling jittery will find this book full of workable strategies for helping students experience the wonders of science. Classroom veterans will discover new ideas, and science educators will learn how colleagues pass on the art of good teaching. 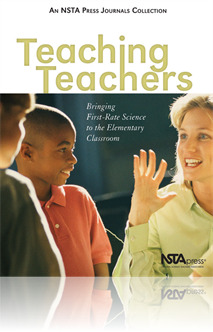 Teaching Teachers’ thirteen articles—culled from the “Teaching Teachers” section of NSTA’s award-winning journal, Science and Children--were written within the spirit of the National Science Education Standards by leading college educators. 3 Useful but . . .